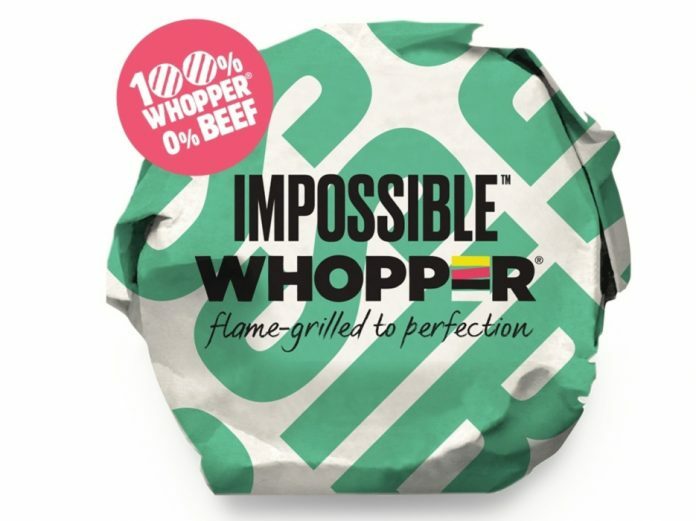 Burger King is throwing its weight behind the growing meat-free movement by adding a burger from plant-based upstarts Impossible Foods to its menu. The Impossible Whopper will be available in 59 restaurants in and around the St. Louis in Missouri. According to the company, the new burger will comprise a flame-grilled plant-based patty with the usual Whopper trimmings.